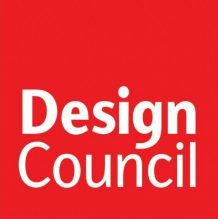 The blog I was asked to write for the Design Council is now live! Friday 1st June was a big day for me. I pitched my idea for a Social Enterprise to a local panel of Transform Ageing assessors. Now all I can do is wait, until I hear the outcome towards the end of June 2018. By the time you read this I will know if I have been successful. I have been a Social Entrepreneur before, but at my age (65) I thought that was behind me. The story of how I came to this point starts back in the early months of 2017. I received two interesting invitations. One was to the Devon Convergence, a chance to spend a day with people from across the county who want to make things better. Too good to miss, I thought, and it was. I met 5 people whose idea of making things better in Torbay chimed with mine. Across March and early April, we met, and began to form an idea of what we might do — set up a Torbay Enterprise Hub, based on a model already developed in neighbouring Totnes. The second invitation was to the launch of Transform Ageing in Torbay. I had seen a brilliant illustrated process diagram which told me this was an innovative and exciting project — I wanted to be part of it. The workshops ran over the next three months. They were designed to be seriously inclusive, and I found myself working with a Public Health Consultant, the Strategic Partnership Manager — Joint Commissioning, a successful Social Entrepreneur, an older person who supported carers, and a person in later life. Across the 3 workshops we learned more about our topic — Caring for Carers. It became clear that social isolation was a major problem, as was the lack of a purpose in life when the caring role ended. We worked to identify and validate the things we thought would help. We were contributing to the design briefs which would be the basis for social entrepreneurs to put forward their ideas. They could then apply for Transform Ageing Awards which would help them deliver their projects. Meanwhile, I was learning more about the REconomy (project in Totnes from the co-founder Jay Tompt) and the idea of an Enterprise Hub had grown into a fully-fledged Community Supported Enterprise initiative. I had seen how we might be able to adapt the original model to suit Torbay. It would need to be intergenerational, so that the vast experience of the older people could support the enthusiasm and energy of aspiring social entrepreneurs. It would also begin to address both social isolation and income inequality. After a short summer break Transform Ageing was back in action and was focussing on finding potential entrepreneurs. Unltd, one of the programme partners, ran an excellent workshop which helped them to refine their ideas. I took the opportunity to refine mine, and 3 days later at a Transform Ageing follow-up event I announced that I was going to set up a social enterprise. By Christmas I had a name — Local Spark: Torbay Community Supported Enterprise, a superb logo, and a domain name ready for the website. Since then I have been gathering support from a wide range of Torbay organisations and individuals. 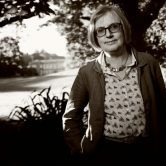 In April I decided to apply for a Transform Ageing Do-it Award which would help me develop a website and marketing materials and start running events so that Local Spark can start to make a real difference. So that brings me back to making my pitch on the 1st of June. I think it went well, but the final decision will be made up country, in London — wish me luck. LOCAL SPARK’S NEW MAGAZINE IS HERE!